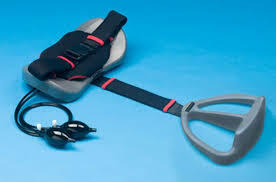 back pain, stiffness, and restores motion. 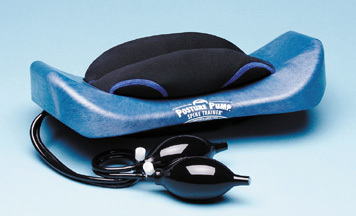 The Posture Pump Back Rocker decompresses, shapes and lubricates damaged discs while aligning vertebra into their natural curved shape. 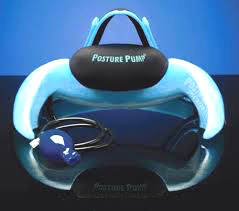 With the Posture Pump compressed cervical and low back joints and discs are simultaneously decompressed and aligned in a curved configuration. MRI studies have concluded that this unique patented action separates the joints at the front and back aspect of the discs to coincide with their natural wedged spacing. This allows discs protrusions to be drawn into the proper disc allignment. 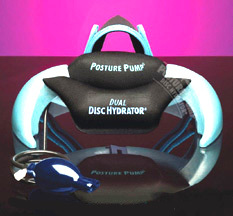 2 uniquely angled air cells create multi-vectored force and promote disc & joint lubrication. 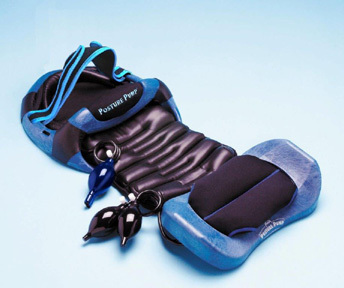 Built-in Rocking Mechanism allows you to exercise your abdominal muscles while shaping & stretching the lower back.